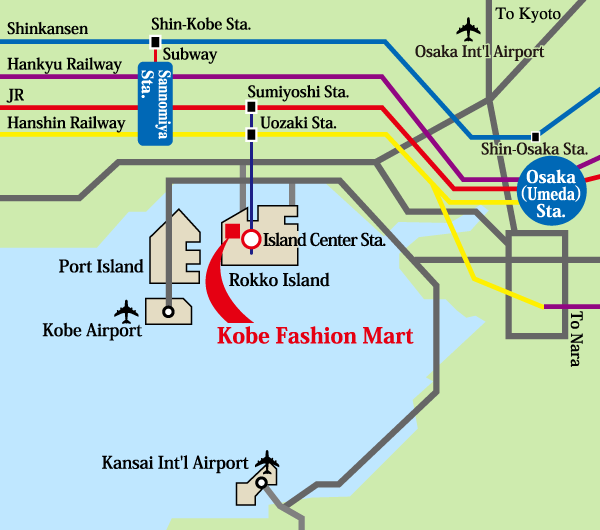 What is the Kobe Fashion Mart? 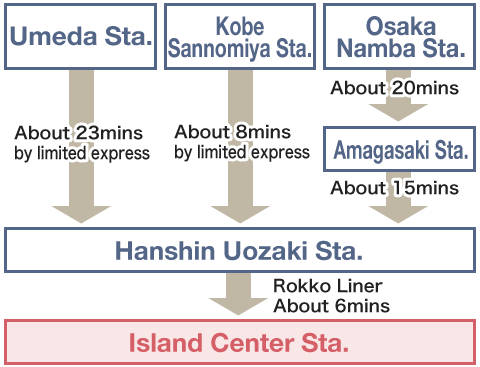 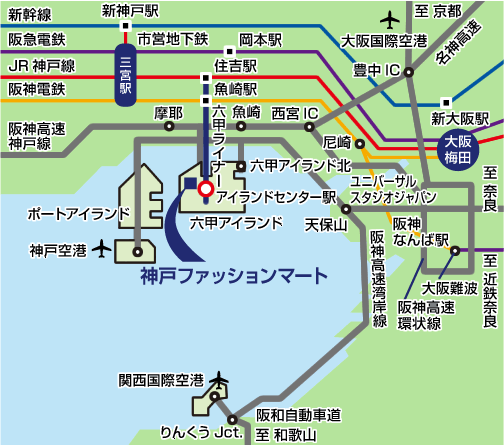 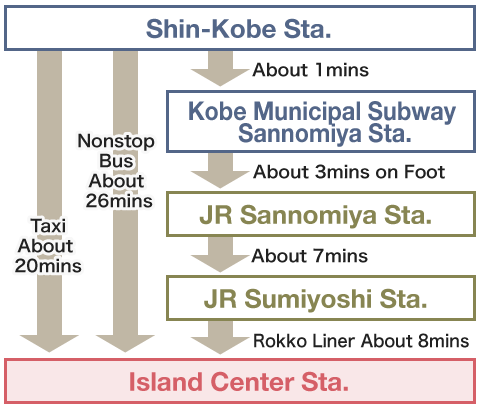 Take the Rokko Island nonstop bus at the south of Hankyu Okamoto Station (North of the JR Settsu-motoyama Station.) 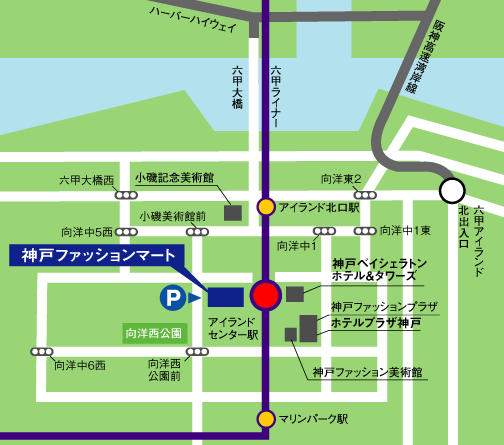 located in front of the Sumitomo Mitsui Banking Corporation Okamoto Branch on Yamate-kansen Road. 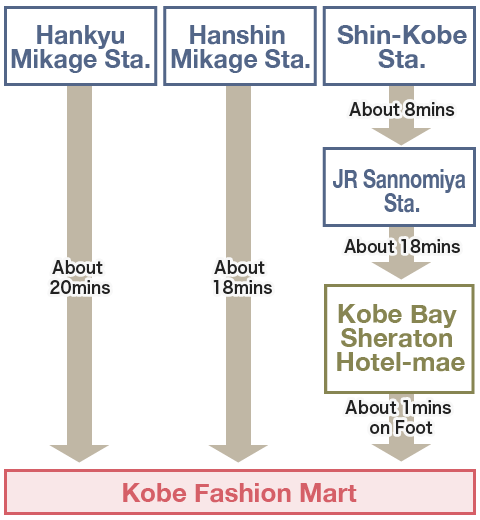 Note: When using the bus of line 11 or 21, exit at the Kobe Bay Sheraton Hotel-mae and walk 1 min. 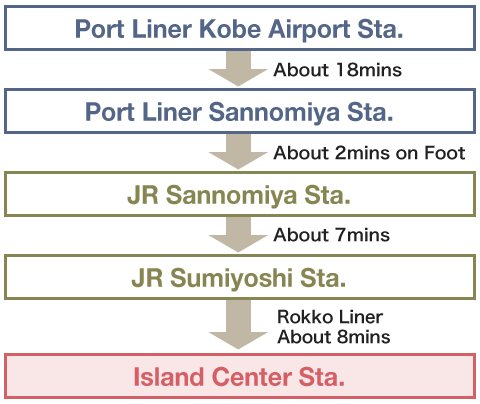 Note: When using the bus of line 12, exit at Kobe Bay Sheraton Hotel-mae and walk 1 min. 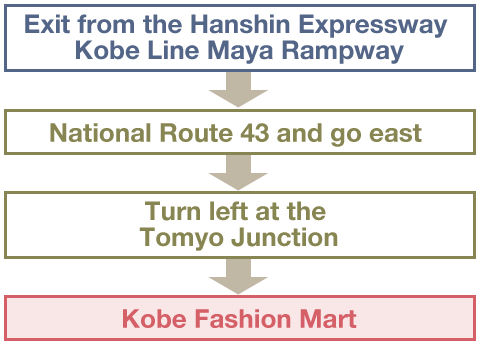 Note: When using the bus of line 13, exit at Kobe Bay Sheraton Hotel-mae and walk 1 min. 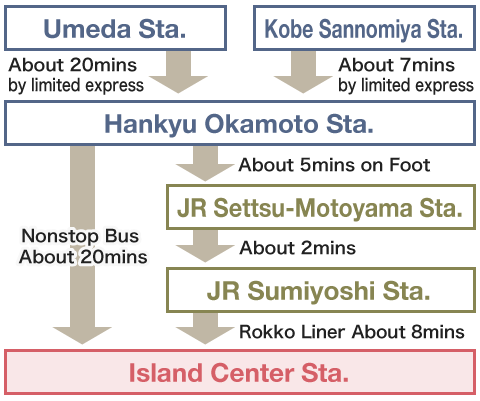 Up to 500 yen per day. 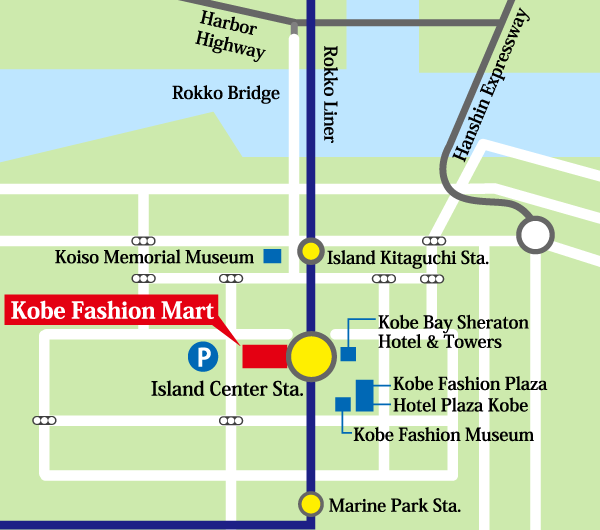 *Except the date of the specific event. Exit from the Hanshin Expressway Kobe Line Maya Rampway.→ Take the National Route 43 and go east. 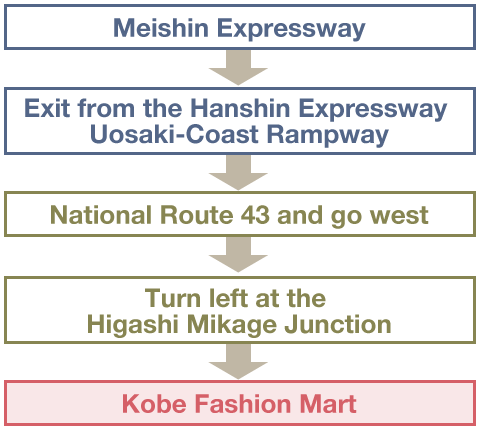 →Turn left at the Tomyo Junction. 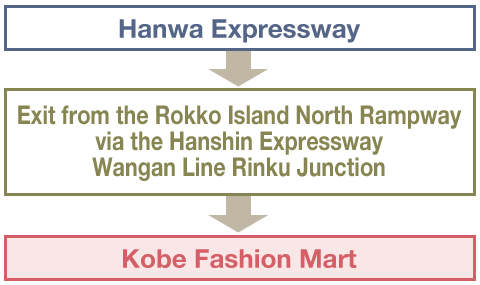 The Hanwa Expressway → Exit from the Rokko Island North Rampway via the Hanshin Expressway Wangan Line Rinku Junction. 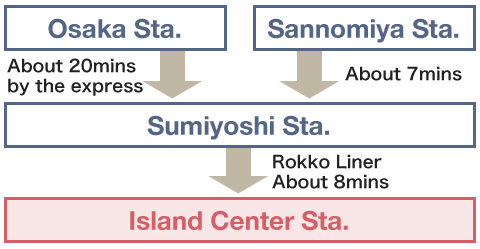 Administrative Body : Kobe Commerce, Industry and Trade Center Inc.